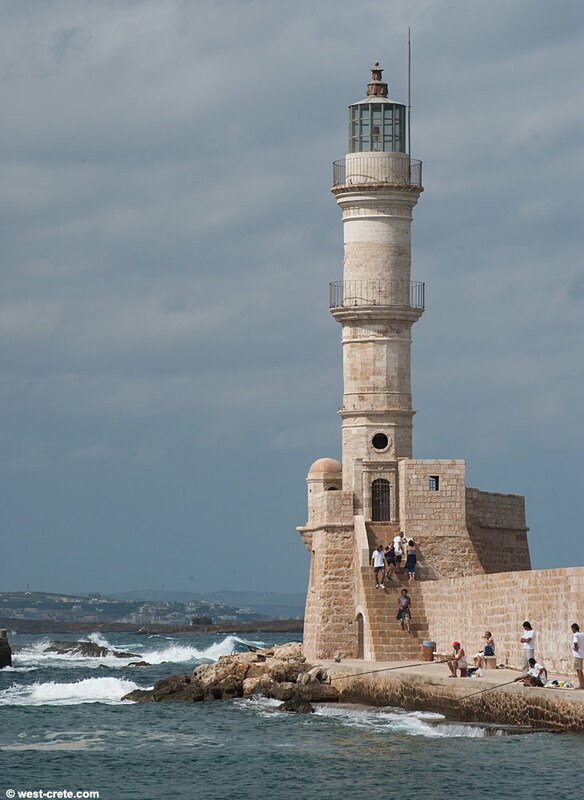 The original Venetian lighthouse was built around the late 16th century to protect the harbour. 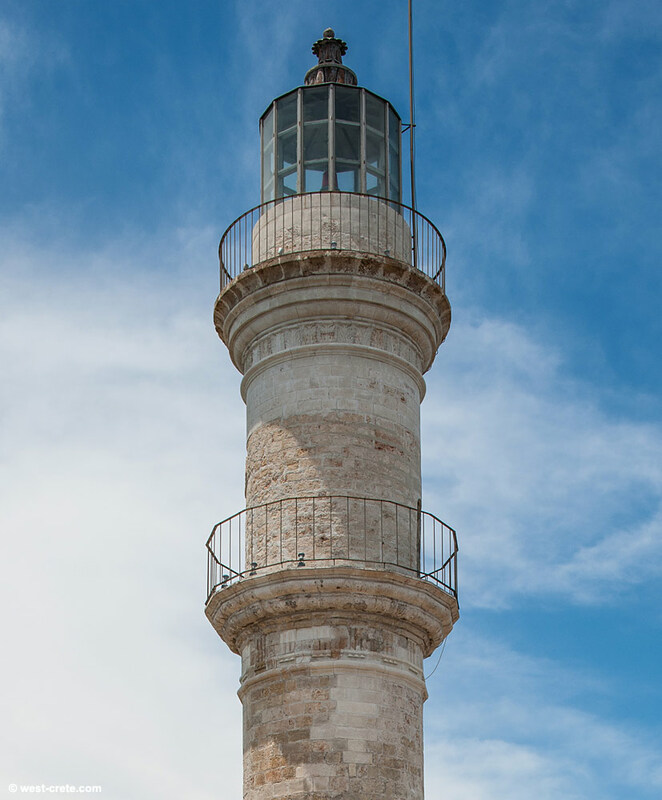 A chain could be connected from the base of the lighthouse to the fortress of Firkas in oder to close the harbour. 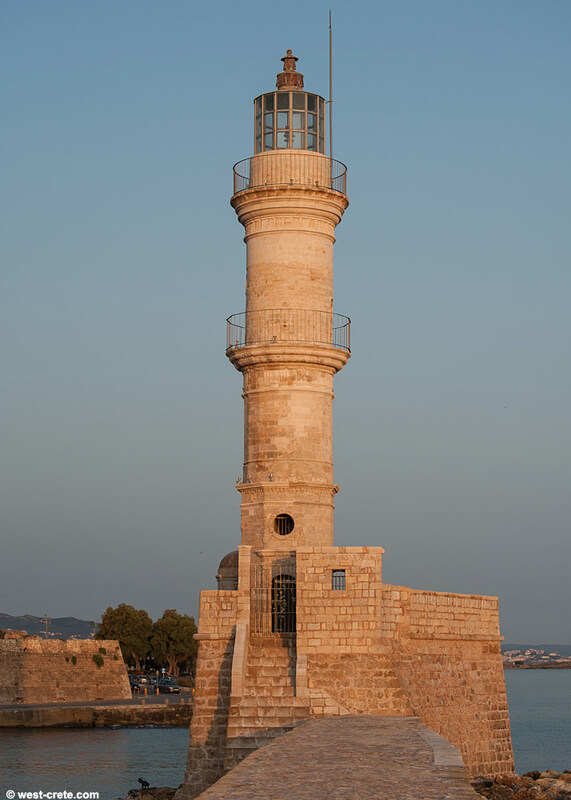 During the Turkish occupation the lighthouse fell into disrepair and was eventually rebuilt between 1824 and 1832 in the form of a minaret. 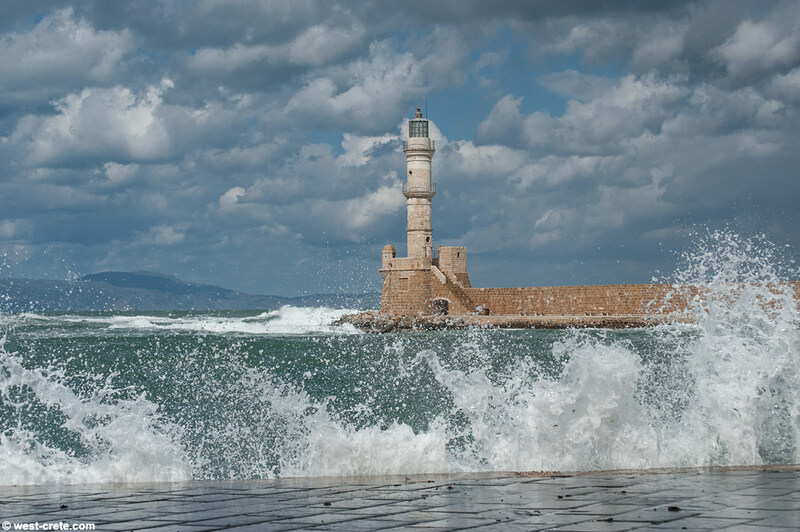 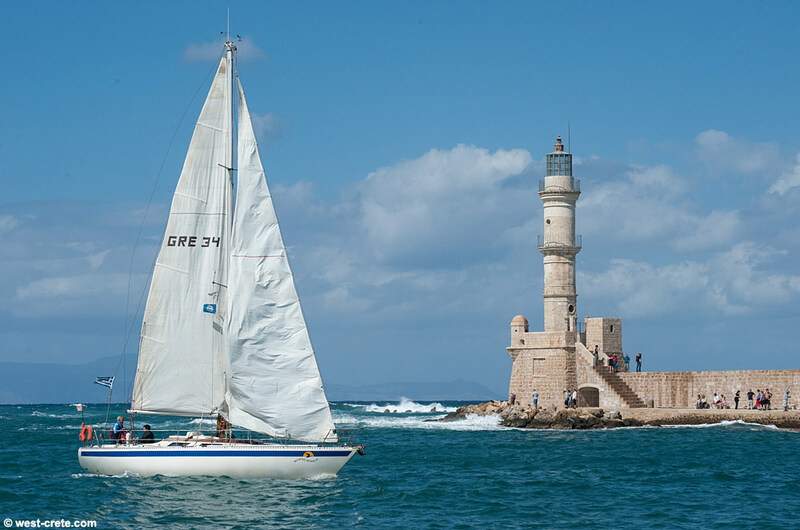 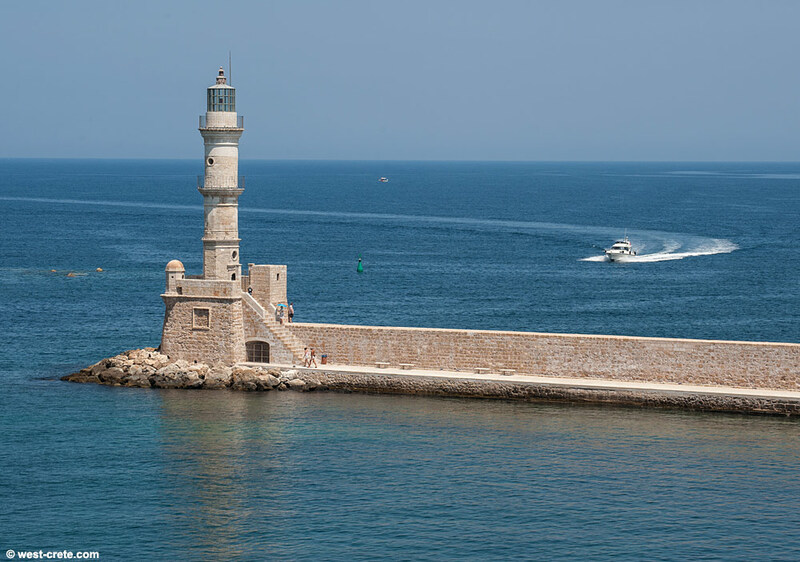 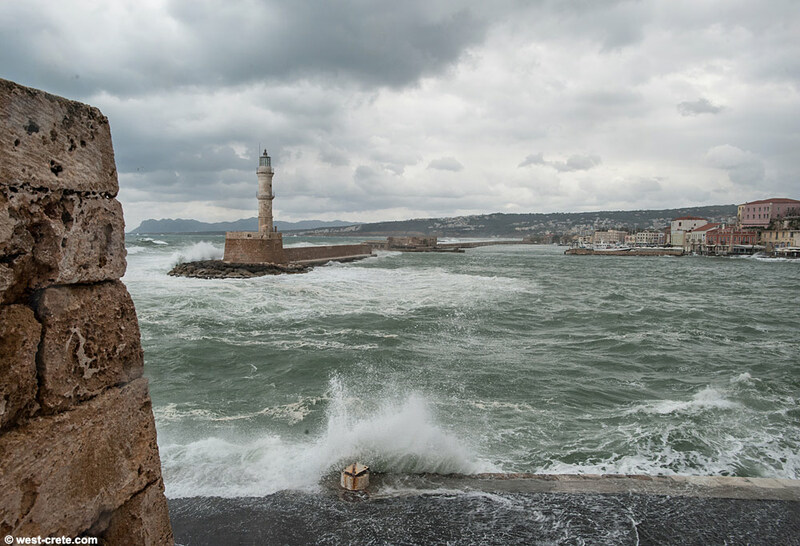 The modern lighthouse is often referred to as ' Egyptian' because it was built during a time where Crete was occupied by Egyptian troops who were supporting the weakening Ottoman Empire against the rebelious Cretans. 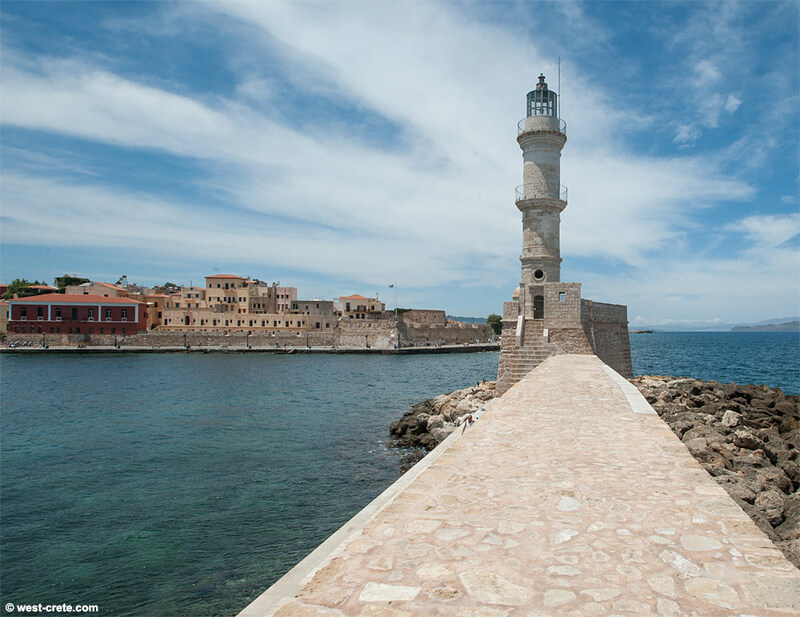 The base of the lighthouse is still the original Venetian base although the Lion of St. Marc which was carved there has long gone. 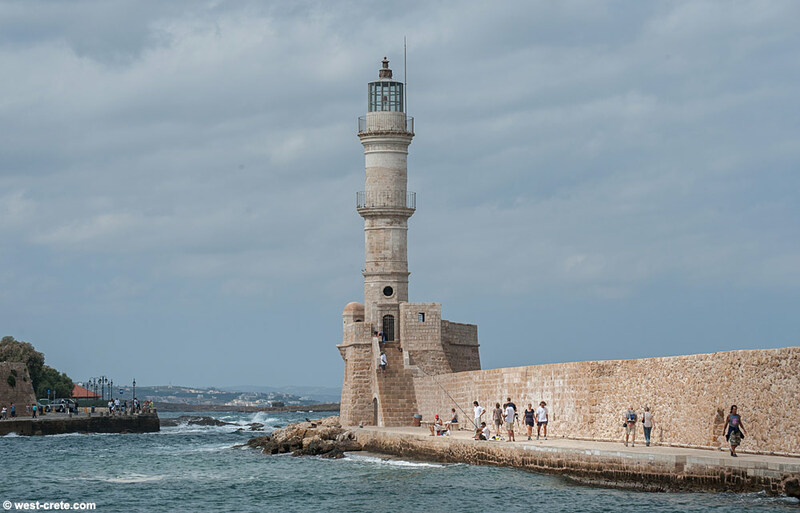 The 'Egyptian' lighthouse was leaning badly due to bombings during WWII and earthquakes but it was extensively renovated in 2005 and now looks as good as new. 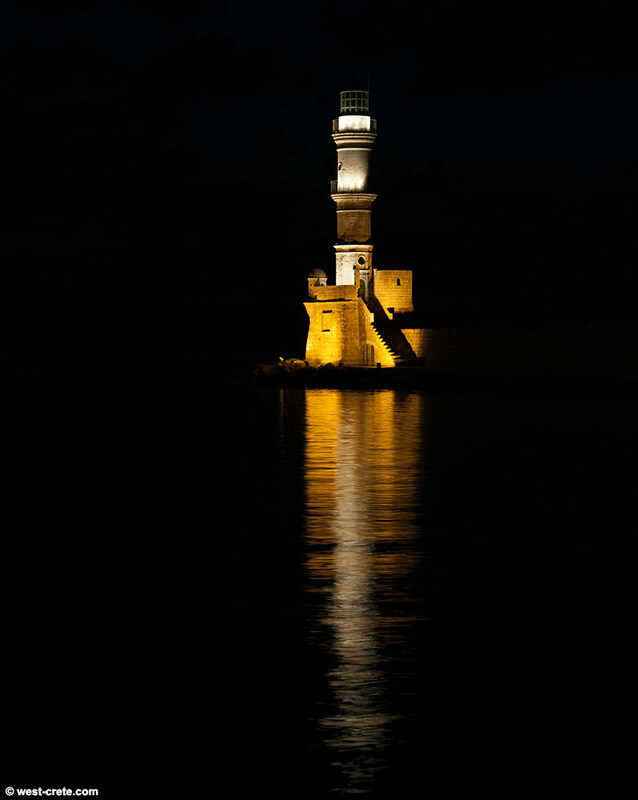 The lighthouse is located at the end of a long mole that protects the Venetian harbour from the sea. 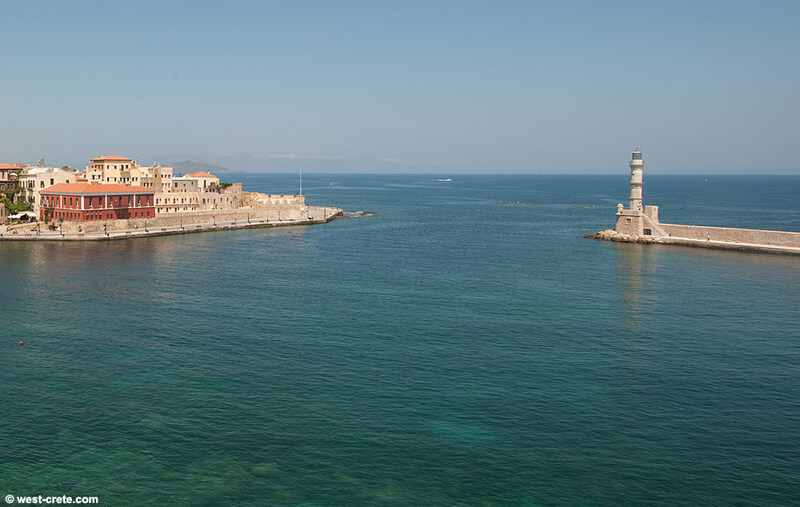 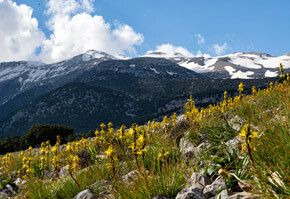 It is well worth walking all the way to the end of it as you get splendid views from the harbour. 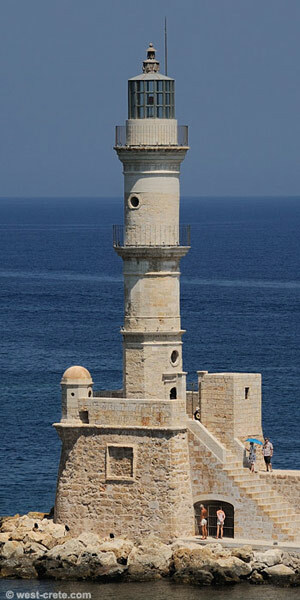 Unfortunately the lighthouse itself is closed so you can't go up the tower.